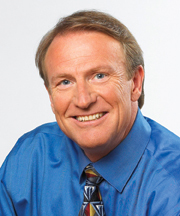 Mark C. Thompson is an executive coach, venture capitalist, and bestselling coauthor of Now, Build a Great Business and Success Built to Last, the sequel to business classic Built to Last. Forbes magazine called Mark one of America’s top venture investors with the “Midas” touch, and he is a founding board member of Smule, which creates Android and Apple social media, including the top music app for the hit TV series GLEE. Mark is former Chief Customer Experience Officer for Charles Schwab and Executive Producer of Schwab.com. He was Chief Communications Officer of the global firm and its first Chief Investor Relations Officer following the IPO; and started the Foundation with Charles “Chuck” Schwab. At Stanford University, Mark was a founding advisor to the Real-Time Venture Design Lab, where he earned his master’s degree in social media in 1998. He is a founding board member of the Institute for Entrepreneurial Leadership at John F. Kennedy University and a founding patron of the Richard Branson Entrepreneurship Centre. He is a cofounder of Virgin Unite’s Online Entrepreneurship Hub and one of Sir Richard’s six judges for his SBAU Entrepreneurship Competition. In 2000, Mark served as Chairman of Rioport, which popularized the mp3 audio player before Apple’s iPod. He was Chairman of Integration, Inc., a Sequoia-funded start-up sold to Silicon Labs; and a board member of Interwoven, now owned by Hewlett Packard/Autonomy. Among his Broadway passions, Mark has coproduced shows that have earned ten Tony nominations, including Best Play for Peter and the Starcatcher with Disney, and StickFly with 14-time Grammy award winner, Alicia Keys. As a member of the World Economic Forum and TED, Mark created the Charles Schwab CEO series, Korn/Ferry’s Leaders of the New Century series, and the American Express Leadership Dialogues for the Hesselbein Institute (cofounded with Peter Drucker). He blogs for the Huffington Post and Virgin, and lives in Silicon Valley and Manhattan with two extraordinary women.